Landing in Marseilles the plane doors opened and the warmth of the Provencal sun brought an instant smile to my face. Our bags all safely packed in the car and my stash of loose leaf tea accounted for ( you can take the girl out of England but ….) we set off for the drive to the house. 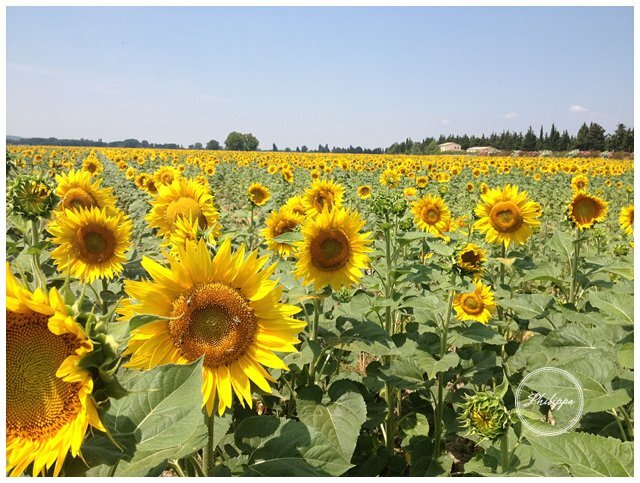 The journey was littered with the glorious sights typical to the terroir; hectares of olive groves, fields of sunflowers, rows of hazy lavender, fig trees groaning with ripening fruit and speedy trucks laden with sweet Cavaillon melons – these alone are worth making a trip here for. 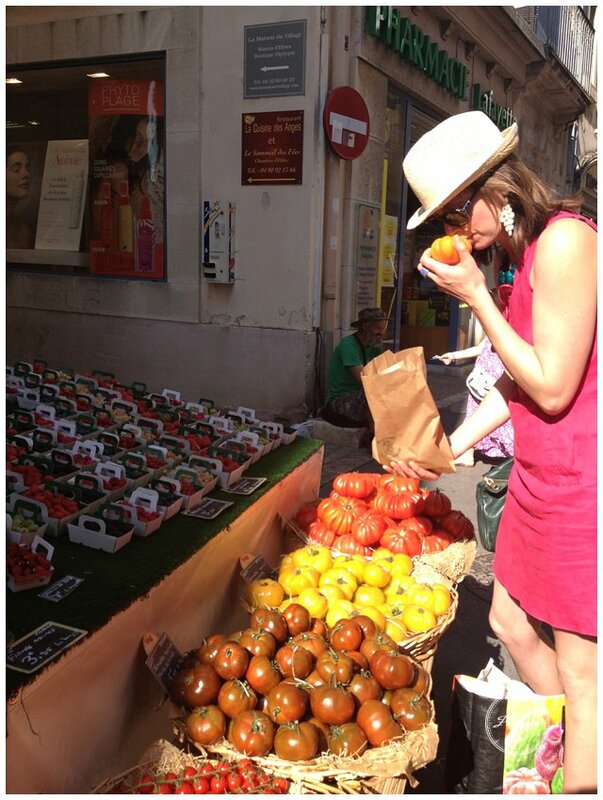 On the first day of work I was up early and off to the food market at St Remy . From experience if you get there when it opens you miss the hoards, get to shop with the locals, practice your French and have time for a peaceful coffee and croissant. Giddy with excitement at all the produce on offer, sad I know but us chefs and foodies get a real kick out moments like these, I could hardly choose what I wanted to buy and cook with first. Then, across an increasingly crowded market, I saw them. The embarrassment has long since passed of picking fruits and vegetables up to examine them and give them a good sniff to check their quality, even if I do get odd looks from less hands-on shoppers and vendors anxious for the safety of the produce. This is the best way, short of nibbling some but this I feel takes inspection too far, to know what you are going to get. I had spied probably the world’s most attractive tomatoes. Their smell instantly transported me back to my childhood and the poly tunnels my grandfather grew rows of tasty unique shaped and colored ones in. Round and red? Ha! These tomatoes were a world away from the dull uniform ones often found in supermarkets. 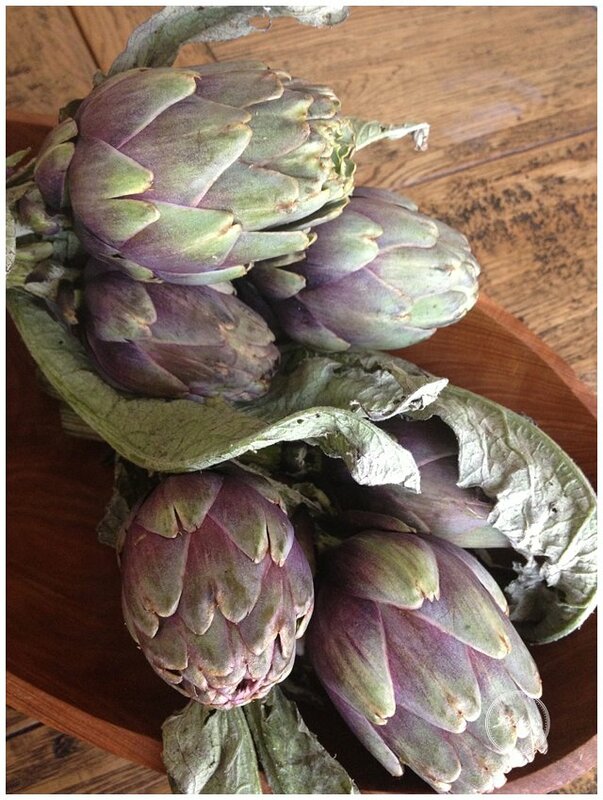 Kissed by the sun they are delicious simply with a pinch of salt and olive oil. The family I am cooking for this summer grow olives to make their own olive oil so this simple preparation did make it onto the lunch menu. 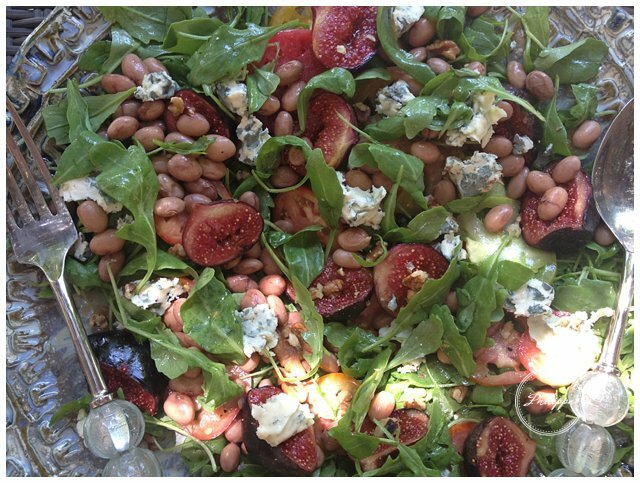 Warm borlotti bean, fig and local tomato salad with walnuts, blue cheese and french dressing. 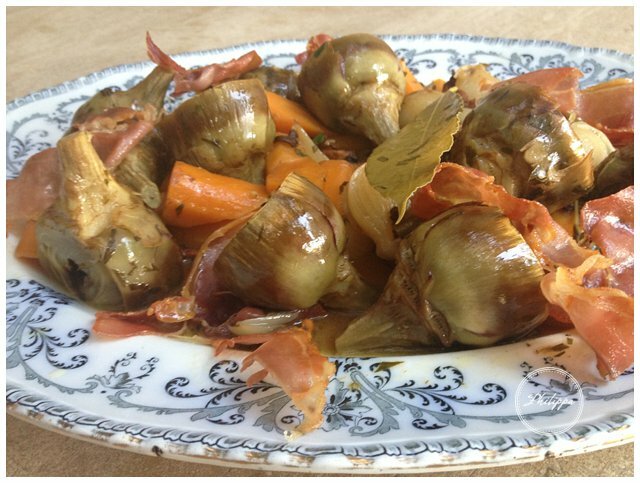 Grilled Lamb with anchovy sauce and barigule ( a Provencal specialty with artichokes and white wine as shown above). Garden Apricots baked with honey and thyme served with home made cardamom ice cream, yogurt sorbet and hokey pokey. Fresh Borlotti Bean, Tomato and Fig Salad. 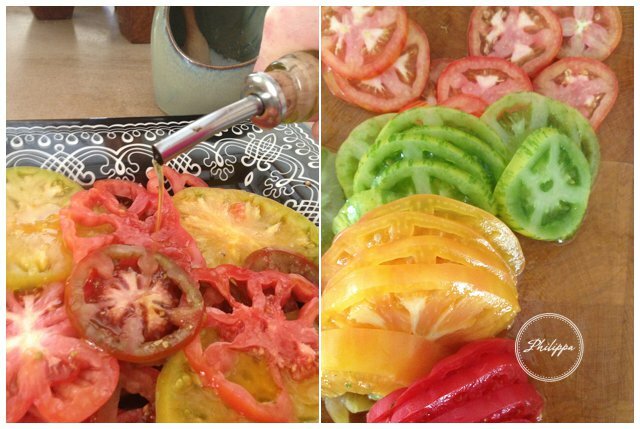 your choice of tomatoes – any color/shape will be lovely providing they are tasty. In a bowl place a pinch of salt and a little ground pepper, whisk while adding the vinegar and mustard then olive oil . To cook the borlotti beans pod them and put the beans in a saucepan covered in at least 4 cm of cold water with a bay leaf, clove of garlic, grinds of black pepper, a dash of olive oil. Bring to the boil then simmer until soft – about 40 minutes. When cooked, drain off the liquid until there is just enough to cover the beans – the cooking might have bought it to this level anyway, season with salt, pepper, 1 tbsp of olive oil and 1 tsp red wine vinegar, this is always best done when the beans are warm as they soak up the flavor. Assemble the salad by gently tossing the figs, rocket, tomatoes and walnuts in the dressing, pile on a serving platter or individual plates, spoon over some warm borlotti beans and crumble over some blue cheese – et voila ! With the table cleared and the dishes washed and put away I was ready for bed and to dream of what next would catch my eye while down in the south of France.